1 hour of CM credits have been requested. 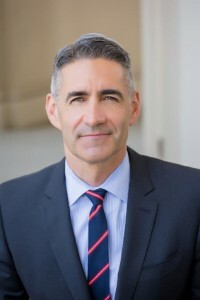 Vince Bertoni, newly appointed director of the Los Angeles Department of City Planning, returns to LA to guide the City and the department through a time of change and opportunity. Planners are invited to join APA Los Angeles as Vince shares his vision for planning and discusses the work ahead in conversation with Josh Stephens, Contributing Editor to the California Planning & Development Report. Beverages and light refreshments will be served. Vince’s 27 years of professional planning experience include service as Director of Planning and Community Development for the City of Pasadena, Deputy Planning Director for the City of Los Angeles and Planning Director for the cities of Beverly Hills, Santa Clarita, and Malibu. Vince is a member of the California Planning Roundtable and the American Institute of Certified Planners. He has held several leadership positions with the California Chapter of the American Planning Association including President, Vice President for Policy & Legislation, Director of the Los Angeles Section, and Co-Chair of the American Planning Associations 2012 National Planning Conference. Parking/Transit Information: Transit is available via the Red Line Civic Center/Grand Park Station and numerous Metro bus lines. Public parking is available in the underground garage at 140 N. Judge John Aiso St., $3 flat rate after 5 PM.